Ask us about specialty trips to accommodate birthdays, bachelor parties, corporate events and more! Gulfstream Deepsea Fishing has been in the water since1974! Professional captains with years of experience on the Gulf Of Mexico! Two great boats to choose from, available 7 days a week! Our Family owned business opened in 1974 by “Captain Maxie Foster” and “Captain Suzanne Foster” in the Clearwater Municipal marina. We are the one of the largest and longest running charter companies on the west coast of Florida. We are located on beautiful Clearwater Beach just west of Tampa Bay and the pristine waters of the Gulf of Mexico. Our fleet consists of three vessels, with the ability to accommodate groups of up to 21 people on a single boat. So if your group is looking for a charter boat for deep-sea fishing charters, then you are in the right place. The custom built and spacious 51′ Gulfstream II is U.S. Coast Guard inspected and certified to carry up to 22 people in your private party and is the flagship of the fleet., The custom built Gulfstream is also U.S. Coast Guard inspected and certified to 12 persons. All vessels are maintained up to USCG safety requirements. Our number one priority is to provide you with safety and services unparalleled by others in the charter fishing business. 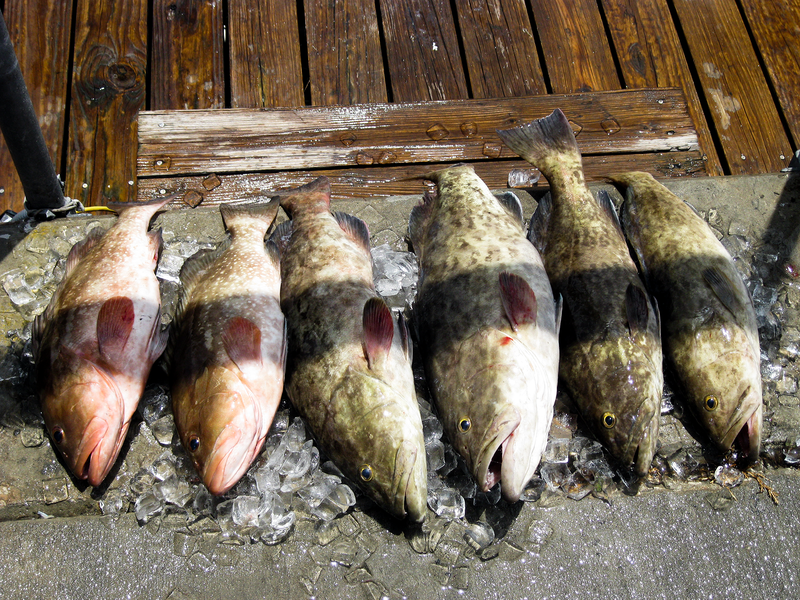 No other fishing charters located on Clearwater beach have three boats to choose from. It has been said we are the “Gold Standard” for safety. It does not matter what you want to fish for what you are hoping to catch regardless if you are a rookie or seasoned angler. Any one of our Captains’ are able to make your charter fishing trip a real success. We offer the discriminating business executive a great alternative to conventional means of strengthening relations with customer and clients. Gulfstream Charters can set up a days fishing for your company, whether its for the award winning sales team, the managers, good customers and clients, an executive retreat or just the whole company going fishing. We can customize the trip around your schedules and meetings as well as have the boats supplied with food and drinks. Corporate charters can be arranged for up to 75 people with up to 12 vessels. So come experience adventure deep sea fishing charters in Clearwater, Tampa, St. Petersburg area to the Gulf of Mexico daily. Groups of more than 6 people can fish together. You do not have to split your group up on multiple boats. Splits groups can also be arranged for small groups. We also provide Bachelor parties, kids birthdays, shark fishing, monster, fishing, sightseeing, at-sea ash scattering services, weddings, and sunset cruises. No better way to end the day than with a beautiful sunset! Our specialty trips are customized with memories in mind. Whether you want a small, intimate affair or need to accommodate a large crowd, we have the ability to accommodate all of needs on the water. We provide charters of 4-12 hours and provide bait, rods, tackle and appropriate fishing licenses. Here at Gulfstream Charters, we value and appreciate all active military! As a show of appreciation, we extend a 5% discount to all who have proudly served! Thank you! The Gulfstream, Gulfstream II, and Gulfstream III are impeccably maintained to meet and exceed US Coast Guard safety requirements. They are certified and inspected by the U.S. Coast Guard..
We are one of the largest and longest running charter companies on the west coast of Florida. We have great customer reviews and aim to please each time we are out on the water! The best fishing charter in all of Clearwater Beach!